Locate Peterbilt parts with no time lost using TLG’s Fleet ECAT, our complete electronic Peterbilt parts catalog available exclusively online. Peterbilt Parts at TLG Stores Your local TLG store can order any part you need. Visit eportal.paccar.com to log into ECAT. Offers cross-referencing options to allow for easy identification of TRP aftermarket truck parts. Why Depend on the Fleet ECAT? Why is the Fleet ECAT a favorite tool for TLG customers? To put it simply, it just makes life easier. 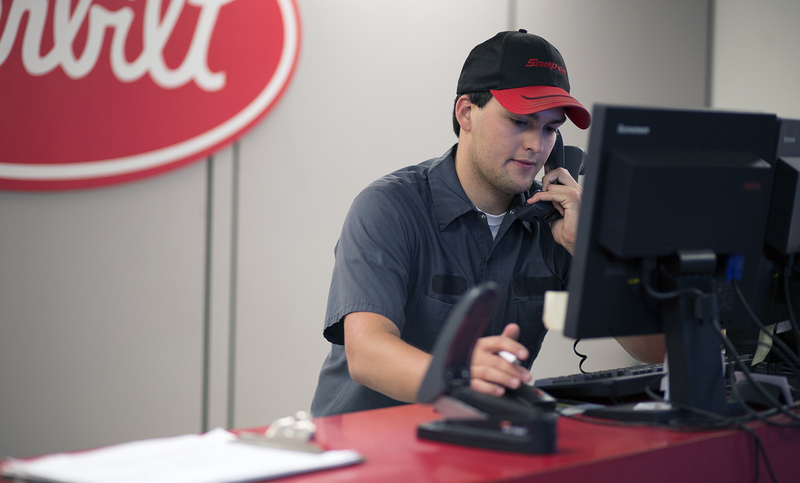 Customers can sign up for access to the ECAT through our Peterbilt parts department or through Paccar Fleet Service. With all Peterbilt truck parts listed in the ECAT, fleet owners and drivers can discover details about any given part, right down to alternate part selections should the original become obsolete. Exact Peterbilt part numbers and other specs are readily available so you can place your orders and continue on with your busy day. Our technicians use the catalog to ensure the correct Peterbilt truck parts are found even if they sometimes have different names. As we’ve built our business over the years, we’ve worked to alleviate problems customers run into when trying to order Peterbilt truck parts, be it not knowing if a particular part requires additional parts before it can be serviced or if they’re feeling foggy on whether a part is even still being manufactured. Access to the Peterbilt Truck Parts ECAT is as fun for gearheads as it is convenient for folks in a hurry. No matter what kind of customer you are, though, ECAT makes it far easier to study how ever-more complicated electronics and the resulting wiring systems and harnesses have impacted the evolution of Peterbilt. TLG’s Peterbilt parts catalog contains detailed schematics on our currently stocked trucks with cross-references to original chassis records dating back all the way to 1978. Truck fleet services customers, parts countermen, servicemen, and our own engineers can search for Peterbilt parts by keyword or known part number to then view expanded, interactive diagrams and information about related aftermarket truck parts. It doesn’t get more detailed—or easier!—than that. Questions About Our Peterbilt Parts Catalog? Let one of our knowledgeable TLG representatives be of assistance to you. It takes all our different job positions, working together, for that wheel to turn. TLG Peterbilt continually works to streamline our processes for purchases, preventative maintenance service, and repairs. The goal is to ensure you enjoy a service experience that’s worthy of your business the next time you need a hand with Peterbilt and trucks. Our service department welcomes all makes and all models to benefit from our service expertise so you can get back on the job as rapidly as possible. At TLG, our service work is performed by factory trained and certified service technicians with continued training in the ever evolving technologies of the trucking industry. Our custom body shops offer small scale body work from truck detailing to installation as well as large scale work that includes custom paint jobs, fabrication work, and top of the line build components. If you're looking for a work machine that can handle off-road jobs or a stunning award winning creation, anything is possible at TLG. Join hundreds of trucking industry professionals and sign up to receive our newsletter for Peterbilt service updates, promotions, and more.